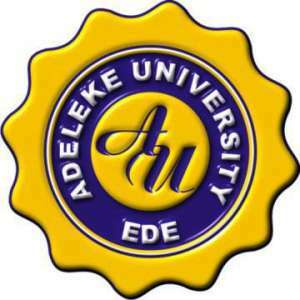 Adeleke University, Ede Post-UTME and Direct Entry Admission Screening Form, Courses, Admission Requirements, Application Guidelines for 2018/2019 Academic Session. Adeleke University, Ede, Osun State, a christian faith-based university for all races, gender and religion invites suitably qualified candidates to her 2018/2019 academic session degree programmes admission exercise. Adeleke University was chartered by the Federal Government of Nigeria through the National Universities Commission (NUC) to operate as a private University. The University is fully residential to students and located in a serene environment, conducive for learning with highly qualified and committed members of staff, well equipped laboratories, classrooms, digital library and wireless internet facility on campus.